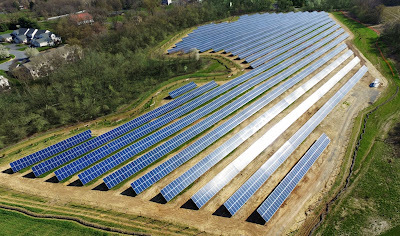 On February 5, Penn State University and Lightsource BP announced the development of 70 megawatts of large-scale offsite solar to support the University's Strategic Plan, which cites stewardship of the planet's resources as a key priority. The project, a large-scale ground mounted solar array using over 150,000 solar panels in three locations encompassing roughly 500 acres of Franklin County land, just outside of Chambersburg near Penn State's Mont Alto campus. 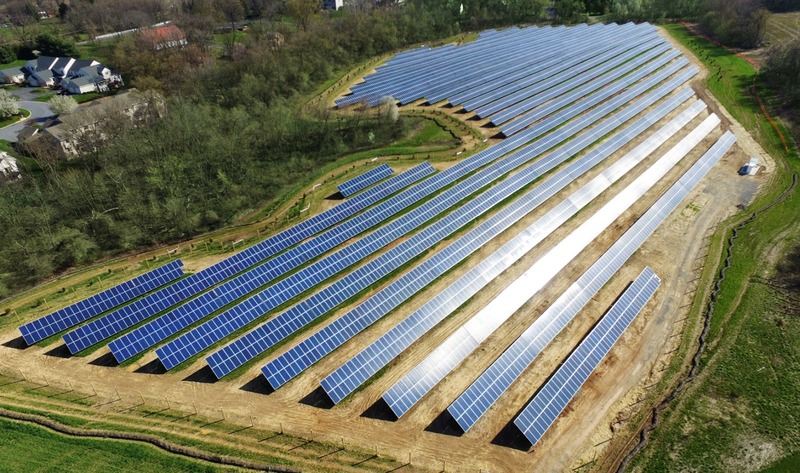 The project is tied for the largest solar project in the state of Pennsylvania. This large-scale solar array will provide 25 percent of Penn State's statewide electricity requirements over a 25-year term, while driving economic development and educational opportunities for the host community. -- Continuing support of the University's Strategic Plan. Because these solar facilities will be located close to the Mont Alto campus, the students and community will benefit from access and educational support provided by Lightsource BP, as well as benefiting from local air pollutant reduction, increased energy resiliency, and increased local economic development. Since 2005, Penn State has reduced its GHG emissions by 32 percent. The first 17.5 percent reduction goal for 2012 was achieved by investment in energy conservation projects through the Energy Savings Program and increased system efficiency from a Combined Heat and Power installation of a combustion turbine and heat recovery system at the East Campus Steam Plant. Penn State's 2020 GHG reduction goal is 35 percent. While progress toward that goal has been supported by eliminating coal at the West Campus Steam Plant, additional strategies are required. These include an onsite solar installation and continued investments in Energy Savings Projects. With this new offsite solar purchase with Lightsource BP providing 25 percent of Penn State's current electricity consumption, more than 57,000 tons per year of GHG emissions will be saved, boosting Penn State's GHG emission reduction to 43 percent. "It has been a pleasure and an honor working with Penn State and we look forward to delivering affordable, local solar to our Penn State partners," said Katherine Ryzhaya, Lightsource BP's Chief Commercial Officer "Our Pennsylvania-located solar projects will drive economic development and job growth, increase biodiversity, support Penn State's sustainability goals, and provide a cleaner, healthier environment for the community. These projects demonstrate Lightsource BP's strength in addressing the unique needs of universities and local communities." This is not the first solar project the University has supported or sponsored. In the fall of 2018, OPP and the Alternative Energy Development Group signed a 25-year power purchase agreement for an onsite solar array, which provides 1 percent of University Park's campus electricity needs and is located along Orchard Road. In 2015, OPP, with the help of students and a $75,000 grant from the Sustainability Institute's Reinvention Fund, installed a solar array outside its main facility to provide power to charge its 100 percent electric vehicles. The MorningStar Solar Home, located in the Sustainability Experience Center, was built in 2007 and is a 100 percent renewable energy powered home. It is used by teachers and faculty as an immersive learning destination. In addition, the Penn State Class of 2015's gift was a solar panel array powering a bus stop near Beaver Stadium.